While the winters here in the middle of the US are harsh, once the snow melts we are able to take advantage of the most amazing fruits, veggies, artisan cheeses, and farm-fresh eggs. We have frequented The Berry Patch for many years, but we’ve never pursued “u-pick” strawberries because we grow strawberries in our backyard garden. Except this year. Our old berry patch remains outside the new garden fence where it unintentionally provides an unlimited buffet for the wild deer and rabbit population. Because we’re experiencing a bit of a strawberry drought here at home, we were super excited to check out the Wohletz Farm Fresh “u-pick” strawberry patch. This year, strawberries pushed apples out of the number one spot on the EWG‘s Dirty Dozen list which ranks produce with the most pesticide residue. I try to only buy strawberries that are organic, but not only do they disappear quickly from grocery store shelves, they are often nearly twice the cost of the pesticide-laden berries. That adds up for a family of six! While the strawberries at the Wohletz Farm aren’t certified organic, they are grown in the spirit of organic farming. At a price of $2.75 per pound, they are a great compromise between pesticides and pocketbooks. Plus, you can get some exercise, fresh air, and vitamin D while you pick exactly the berries you want! The Wohletz berries were large, plump, juicy, and sweet. My nine-year-old ate two handfuls in the parking lot before we left! Always call before you head to the farm. They do a great job of keeping the recording updated with the latest on strawberry availability and hours of operation. 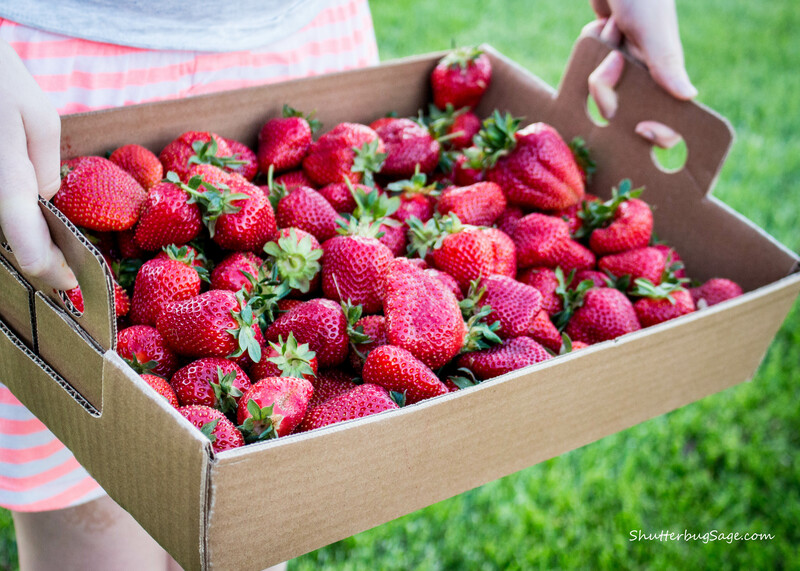 Wohletz Farm Fresh will provide the boxes for your strawberry harvest. Be sure to pack water — both to drink and to wash off the berries you want to taste before you head home. Even if you wait until you’re home to taste your berries, you may want to pack some baby wipes to remove the strawberry stains from your picking fingers before taking the steering wheel to drive home. The Wohletz Farm will only accept cash or checks, not credit or debit cards, so be sure to plan ahead! For tips on preserving strawberries, including freezing them, click here.